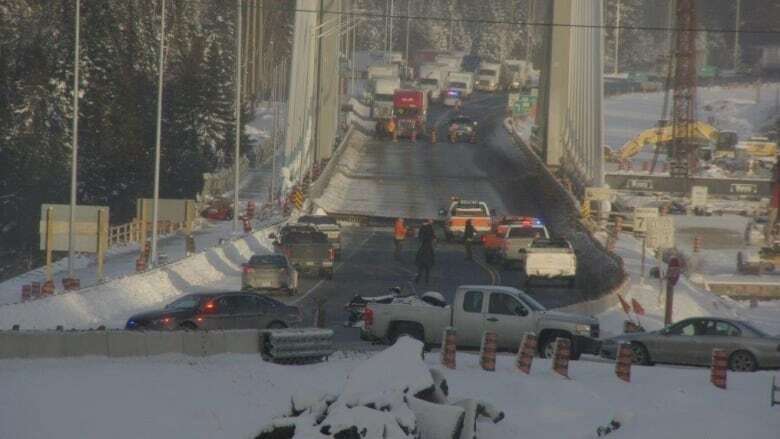 The Nipigon River Bridge reopens fully today, after being open to only one lane since mid-January when the bolts on one side snapped, causing part of the structure to lift nearly 60 cm. The MPP for Thunder Bay-Superior North said it's still not clear why the bridge failed, but the repairs will make it safe. "It's a complex combination of factors that we need to still determine what it is that made it happen," Michael Gravelle said. "But there's no doubt that the Ministry of Transportation, the province, myself, would not be supporting the reopening of lanes unless there was absolute 100 per cent assurances that indeed this would be safe." Efforts to determine what happened to the new multi-million dollar structure have been underway since it failed since Jan. 10. The bridge does remain a construction zone, so ministry officials are asking drivers to follow all signs and watch for workers in the area. The bridge was due to open at 10 a.m.